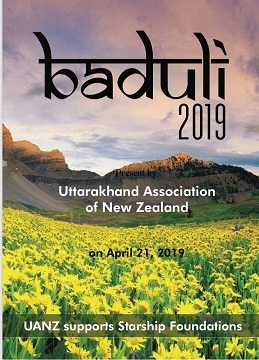 It is unfair to compress the proceedings of a great evening of Odissi dance and music instruments held in Auckland last month into a thin report but paucity of space and the promise to carry in this issue left us no choice except brevity. Pallavi, She Nila, Durga Stuti and Moksha. Called, ‘Sanskar’ (Impression), Sargam School of Indian Music organised the event on April 11 at Raye Freedman Arts Centre, Epsom Girls Grammar School. The items that he picked were to not only pay tribute to Guru Kelucharan Mahapatra but also take the audience on a journey of self-realisation and higher consciousness. 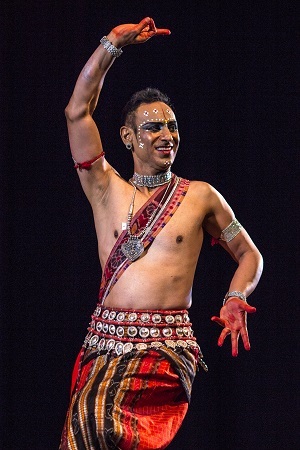 As I mentioned to Sam, his performance brought memories of Protima Bedi, whose passion for Odissi saw her give up a lucrative film career to explore the world of this classical style with passion and perseverance. Sam Goraya was not different. His interpretation of some of the Avatars of Lord Vishnu were impeccable. With four postgraduate (Masters’) degrees and PhD in Mathematics and Oceanography, he is currently National Operations Manager for Telechoice, a telecommunication service provider for Telstra. We propose to publish a more substantial story on this dedicated dancer in our next issue. Basant accompanied him on the Tabla. Tabla Jugalbandi session with Basant and Akhil was one of a kind. Accompanied by Deepak Madhur on the Harmonium, the Tabla artistes commenced their segment of the programme with Peshkar, followed by Kaydas, Rela, Gat, Tukra and Paranin Teen Taal that corresponds to 16 beats. It was an evening which most music lovers in the audience hoped would never end.